Chisenhale Gallery presents the first solo exhibition in a UK institution by Berlin and Brussels-based artist Peter Wächtler.  Wächtler works across a range of media including sculpture, drawing and animated film, with his writing and prose poems often providing source material. For Wächtler, the introverted experience of labour becomes both his process and his subject. The Deutsches Architekturmuseum (DAM) is curating the German Pavilion exhibition Making Heimat. 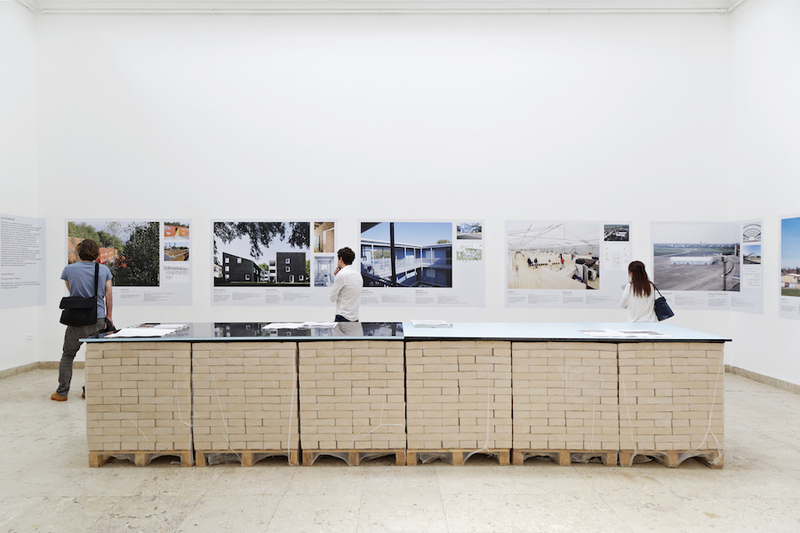 Germany, Arrival Country at the 15th Venice Architecture Biennale 2016 – La Biennale di Venezia. In charge of the German contribution are Peter Cachola Schmal, general commissioner and director of the Deutsches Architekturmuseum, Oliver Elser, curator at the Deutsches Architekturmuseum, and the project coordinator Anna Scheuermann. The Berlin architecture office Something Fantastic is responsible for the overall design concept of the German Pavilion. Four large openings in the walls of the German Pavilion have transformed it into an open house. Over 48 tons of brick were removed from the landmark-protected walls. The pavilion is open. Germany is open. Last year, Germany’s borders were kept open to receive over a million refugees. Although currently the EU borders are largely closed for refugees, the gesture of opening the house is a call to rethink Germany as a welcoming nation for immigrants. With the exhibition the DAM is using examples from Germany’s Arrival Cities to pose for discussion a series of theses developed in collaboration with the Canadian author Doug Saunders. His book Arrival City: How the Largest Migration in History is Reshaping Our World has inspired a shift in perspective on immigrant districts—a shift that is also applicable to Germany. Although these districts are typically characterized as “problem areas, ” they offer residents and new arrivals the most important prerequisites of an Arrival City: affordable housing, access to work, small-scale commercial spaces, good access to public transit, networks of immigrants from the same culture, as well as a tolerant attitude that extends to the acceptance of informal practices. However, before any of the numerous new arrivals can become regular immigrants, there are currently thousands of refugees living in first admittance facilities and shared accommodations across Germany. Using specific examples, the German Pavilion will present the architectural qualities of these buildings in an exhibition room dedicated to this particular construction task. The examples have been chosen from the database. This growing archive of realised and under-construction refugee buildings across Germany and Europe offers a comprehensive picture of the current reality, and is an exhortation to step up and meet the dire need for affordable and high-quality residential space. Indeed, this is one of the central prerequisites for a successful integration process. The opening of the German Pavilion and its transformation into a lively public space was developed in collaboration with Something Fantastic. 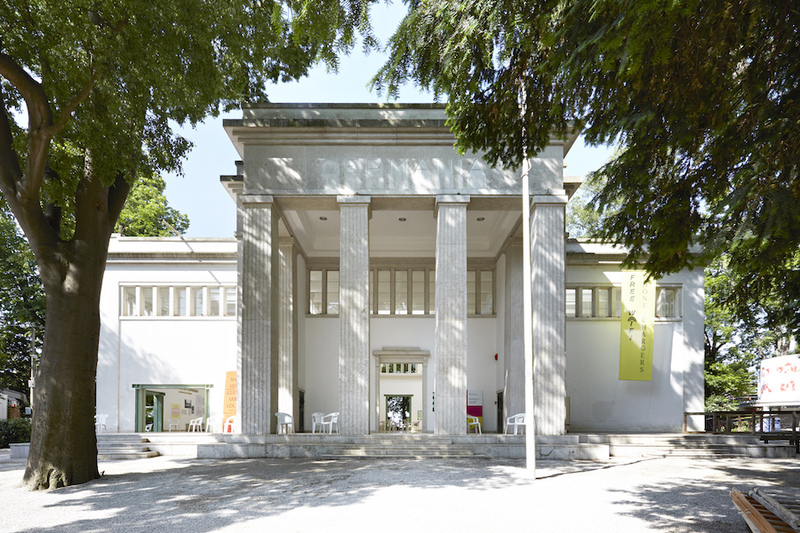 For these Berlin-based architects, opening up the pavilion is not only a political, urban planning, and architectural statement, but also a welcoming gesture for exhibition visitors. 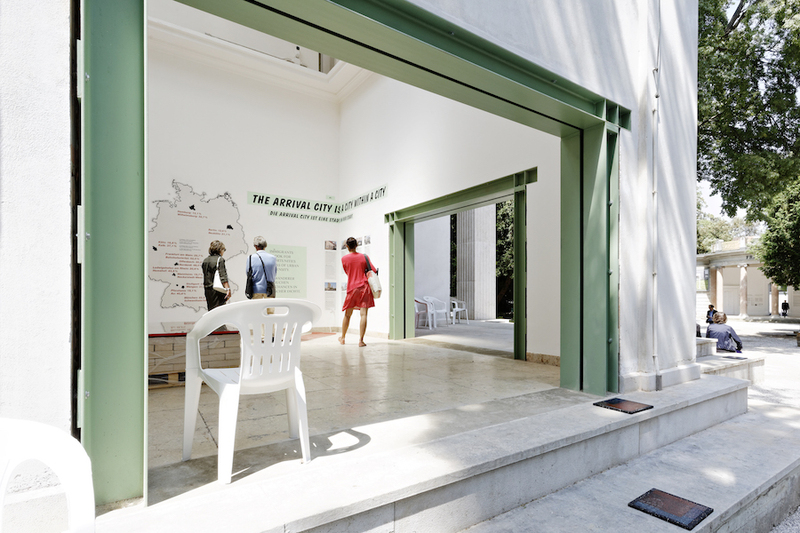 They’ve provided indoor and outdoor seating, free WLAN, power stations, white plastic chairs, and an ayran fountain that will be running during the opening days of the Biennale, operated by a Lebanese caterer from Mestre, the Arrival City in Venice. The opening of the walls was carefully coordinated with Emanuela Carpani, the head of the Venetian office of monument preservation. The three-sided steel frames are earthquake-proof and will be removed when the openings are bricked in again. Nevertheless it cannot be denied: a massive intervention is being made into the material of the monument itself – an intervention that amounts to a new interpretation of the German Pavilion.